Where friends were love, clear lights who shared my mind. Where worlds can come and go without a trace. And that the lights were few and far between. In protest at the loneliness of night? Edith Speers is a Canadian born poet, teacher, editor and publisher who manages Esperance Press in Dover, Tasmania. More, please! Edith Speers' two poems, Aquarium and The Lights, are the best poems I've read in Eureka Street for many a long year. I was fortunate enough earlier this year to visit the Osaka Aquarium. 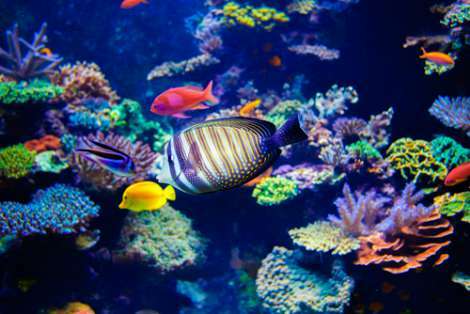 The guiding principle of this aquarium is based on 'The Gaia hypothesis' advocated by British scientist James Lovelock. He proposes that 'all organisms and their inorganic surroundings on Earth are closely integrated to form a single and self-regulating complex system'. Edith's poems helped me re-live the emotional and spiritual experiences I had as I walked through the glass tunnels of the Osaka Aquarium with fish of every kind swimming around, over and below me. Edith has a rare gift. Just a small correction: it was Lynn Margulis (the first Mrs Carl Sagan) who provided the SCIENCE upon which James Lovelock put forward the Gaia model. For Anita Joy: thank you for the correction - Lynn Margulis.